The Barajul Izvorul Muntelui, near Bicaz, Judetul Neamt, Romania, was quite a happening tourist attraction. 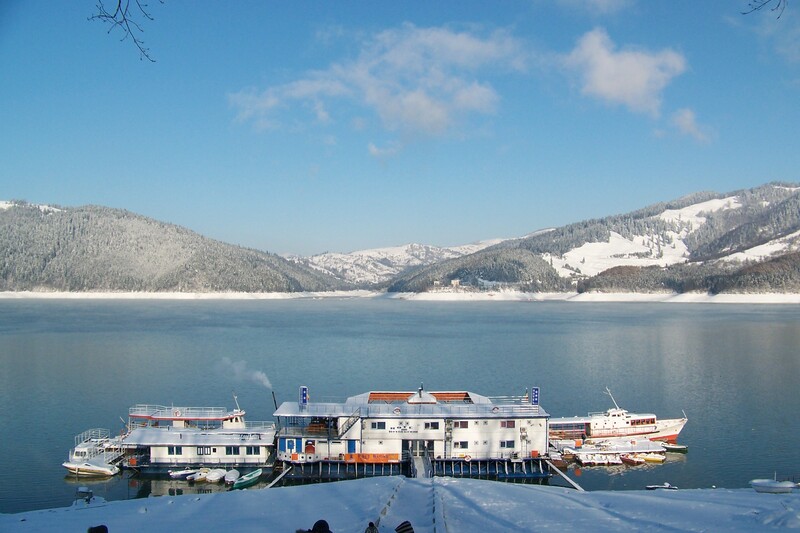 On Lake Izvorul Muntelui, which is the largest artificially created lake in Romania, there is a hotel boat. The dam here creates hydroelectric power. There are beautiful views of the mountains, especially when there is snow. 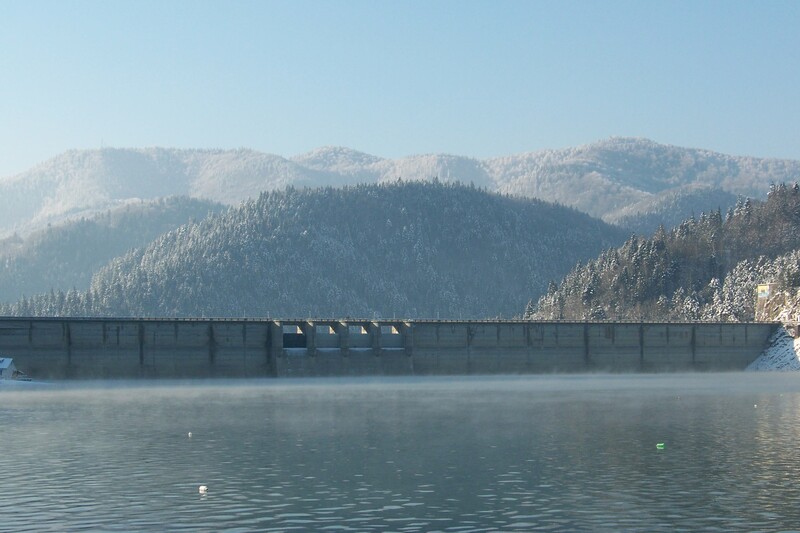 The dam is not far from my former roommate’s hometown of Piatra-Neamt and was quite a pleasant excursion. This entry was posted in Europe, Photos, Wednesday photo and tagged Mountains, Photos, Romania, Travel. Bookmark the permalink. thanks for your post, I\’ve found it very interesting .looking forward to see your next one!